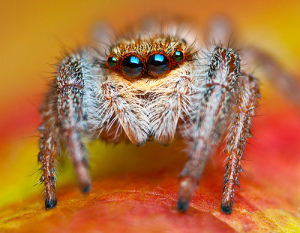 Spiders all over the globe are upheld in various esteem by different cultures. In the United States, spiders have long, storied history of being seen as a sign of good luck during the colonial times, to being seen as something scary and evil in pop culture movies. However these eight-legged creatures are being perceived today, it is undeniable that they are in fact essential in maintaining a balance in the ecology of our neighborhoods. There are various types of spiders – too many to mention in this article – yet most people can only name a few. The black widow, for instance, is probably the most popular with its black body marked with a red hourglass like shape. Female black widows are also well known for their tendency to eat the males after mating, as well as for their dangerous toxic bites. Other than the black widow, there are still a plethora of spiders whose names are not common knowledge. In American alone, there are over 3,000 documented species of spiders, and over 38,000 across the globe. Entomologists believe that there are still many undiscovered species out in the wild. The most common spiders in North America include the orb weaver, crablike, wolf, and many jumping spider species, and this list is in no way exhaustive. Some spiders have a preference for taking shelter in small holes in the ground, while others prefer staying in their webs in the foliage of trees. Spiders come in all shapes and sizes due to how diverse the species of spiders are. 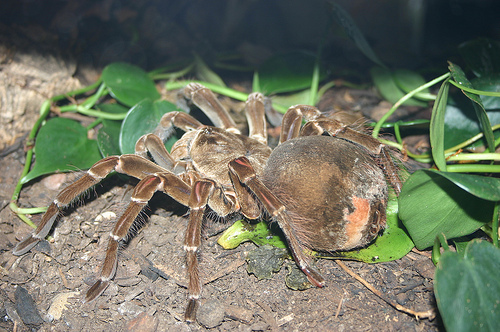 Some of the world’s biggest spiders are the Carolina Wolf Spider and the Goliath Tarantula Spider that can both grow beyond 10 inches in leg span. These spiders are giants compared to their smaller spider counterparts like the anapid spiders that generally dwell in cooler climates. Anapid spiders are very small, making them susceptible to drying out in dry environments; they need to stay in shade constantly, and damp forests are their ideal environment. Spiders across the world are beneficial in keeping the insect population in check by preying on them for food. Not all spiders hunt the same way, but using their diverse methods, they are able to efficiently catch their prey. Mygalomorph spiders, for instance, ambush their prey by waiting patiently in their burrows and attacking when they sense the vibration of an insect. Crab, wolf, and flower spiders hunt their prey with their excellent eyesight and powerful front legs to chase their prey down and hold them there while administering the killing blow. Some of the prey that are ambushed are in fact bigger than the spider themselves. The most commonly known method of capture that spiders use are web based spiders that snare their prey with their webs that were built using the spinneret. Spiders are a vital part of the natural food chain. If spiders were to go extinct, many of the animals and insects that human beings consider to be pests will run rampant in our households. There would be an overabundance of crickets, roaches, house flies, and other such undesirable pests. In fact, many farmers leave spiders alone since they are a natural killer of insects that can damage crops, forming something of a symbiotic relationship. In some cultures, spiders themselves are the food. They are also good feed for various animals, like frogs and birds. Spiders can be found in every major area of the world, and are extremely important in maintaining balance in nature. Though spiders are interesting and fascinating creatures, they need to be handled with care because some are extremely deadly. Most spiders are poisonous, but not all of them are deadly. Though this is generally true, not everyone’s reaction to spider bites are always the same, and some are highly sensitive. For instance, some people can heal from a spider bite wound within one to three days, while others may suffer a severe allergic reaction and will need to pay a visit to the emergency room. Also, not every hospital will carry the specific anti-venom for the specific spider bite, making them even more deadly if received. Some of the most popular poisonous spiders are the brown and black widow, red-back, funnel web, mouse, and white tailed spiders that all have the potential to inflict deadly bites depending on the individual’s reaction. To reduce the chances of suffering a spider bite, always look before reaching somewhere with your hands if visibility is limited. Dark, abandoned, damp, and cluttered areas are prime living spaces for spiders, and reaching around haphazardly is asking for a bite. Spiders can also be located in the dark by carrying a flashlight at eye level, and seeing the reflection of light from their multiple eyes beaming back at you.